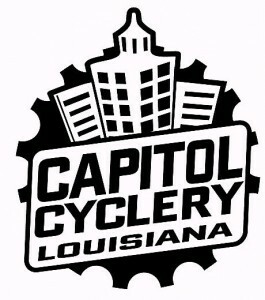 Join the Baton Rouge Bicycle Club for its annual Fall Century to be held on Sunday, October 21st. EVENT DAY REGISTRATION IS AVAILABLE STARTING @ 6:30am. This year the club is partnering with the American Cancer Society. All proceeds after expenses will be donated to the American Cancer Society Louisiana Chapter. There will be four routes to choose from: 100-mile, 60-mile, 30-mile, and 10-mile. Each route takes you through beautiful, shady, tree-lined, country roads. The terrian is slightly hilly and there is little traffic. The ride starts and ends at 13918 Hwy 421, north of Saint Francisville. Driving directions from Baton Rouge: Take 1-110 NORTH all the way to the end. Turn RIGHT at the end of the exit ramp and go NORTH on Hwy 61. Continue on Hwy 61 for approximately 30 miles. Proceed THROUGH the town of St. Francisville. Approximately 8 miles NORTH of town, turn RIGHT on Hwy. 421. 13918 Hwy 421 is 3 miles down on your left. Additional details are on the active.com event page (click green button below). Ride starting times are to be determined and will be posted before October 1st. Registration the day of the ride will open at 6:30 am. Ride times: 100mi – 7:30am, 60mi – 8am, 30mi – 8:30am, 10mi – 9am. All riders pre-registered before Oct 7 will be guaranteed an event t-shirt. BRBC will provide to participants on the day of the ride: lunch (11:00 am til 3:30 pm), full SAG support, maps, road markings, pre-ride announcements, and rest stops with restroom facilities, snacks, water, and sport drinks. Friday, October 19, 2012 @ 11:59 PM US/Central. Event Day Registration is available. Please remember, These ZIP files are fairly large — They could take some time to download. 2) Click on one of the photos you want to download. 3) Click on the photo once it’s in the forefront… You see a magnifying glass…. just click. 4) On the top right, you see a link to “View All Sizes” — click it. 5) Now, you bee able to click on the link that says, “Download this photo in [whatever] size” — click that and it’ll start downloading. In your advertising for this ride, it says that registration closes on Friday, October 19th. But then it says that the registration table is open the morning of the ride at 6:30. Can we register the morning of the ride? Yes you can! 🙂 You can register on-site at the ride… Hope to see you there! Ditto… what are the start times????? Starting times for routes: 100-mile 7:30 am, 60-mile 8:00am, 30-mile 8:30 am, and 10-mile 9:00am. Registration table opens at 6:30 am. Is there a way to get or buy the photos from the flickr site? I would like one of them at high quality. Thanks! You’ll see a section called PHOTOS…. You can download hi-res JPG format OR Nikon RAW un-edited format. There was another gentlemen taking photos at the finish line that day. Will he be posting the photos somewhere? Hey Jonathan, YES… I am going to be getting in touch with the other photographer ASAP — We spoke at the century; and he is willing to share his photos. I’d love to see his photos — he was using a tripod. I forgot to bring mine! Doh! With his permission, I’ll post them to the same Flickr Set, giving him credit for his photos. When I have them uploaded, I’ll post something here — as well as post something to the BRBC Facebook account AND Yahoo Group.